Crafting a corporate expense policy can be a daunting task. But the odds are that you know exactly which behaviors you want to encourage or stop. 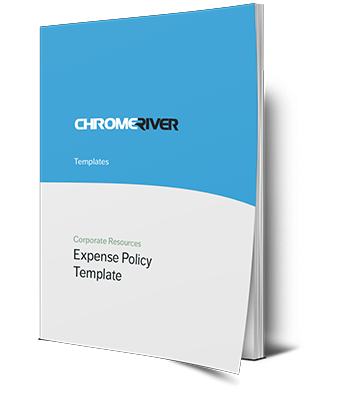 So start with this expense policy template and tune it to meet your exact needs. Are you concerned with expensive last-minute travel? Fine tune the language around advance booking, trip pre-approvals, or involve the TMC to try and curb this behavior. Are rogue purchases creeping in every month? Tighten up the language around purchase order pre-approval and preferred suppliers. While this template is just a guide, it can go a long way to help your organization have a healthy discussion about business expenses and the goal of properly controlling them. It's not a matter of good-cop/bad-cop - it's a matter of being respectful of the company's finances. Download the template using the form to the right and see where you would like to firm up the language. And when you're ready to learn more about using your expense management system to communicate your policies, we're here to help. After learning more about us and our solutions, there's only one thing you'll have to say - Take me to The River!